Regain visibility and better control your processes to accommodate growth, simplify compliance, and beat your competition – all while making interaction with your business system easier. Check our our free Sage X3 educational videos! Sage X3 provides new, more intuitive ways to manage an entire business, tying procurement, manufacturing, distribution, and financials together seamlessly. It offers midsize manufacturers, distributors, and professional services a fast, flexible, & intuitive platform for growing their businesses–or handling their existing growth. 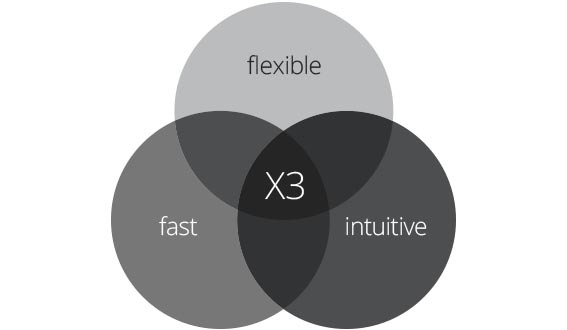 Sage X3 Value: Fast, flexible, smart. Speed: Run your entire business faster: end-to-end, immediately, anywhere. Flexible to adapt to your business: Ready to work for your business, and for expansion. Simpler to use and cost effective: fast adoption, minimal software management. 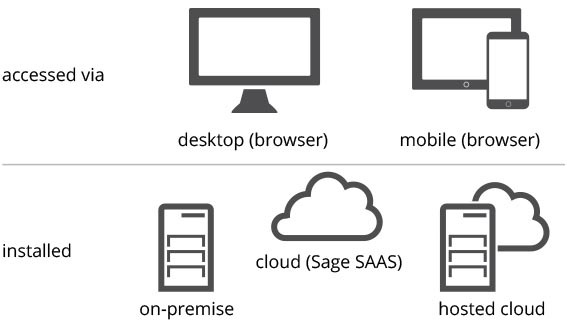 Sage X3 is accessed via a web browser, but can be can be implemented as a cloud-based (via Sage SaaS or your cloud host) or on-premise solution. Licensing options are flexible too–you can choose monthly payment or a perpetual license model–based on your needs and preferences. xkzero Mobile Commerce (XMC) has enabled Power Distributing to grow sales significantly–without having to add new personnel to manage the warehouse or customer service. Through every completed route, their faster & more accurate truck loading, more efficient delivery, and intelligence gathering all add to the advantage they enjoy in their industry. Sage X3 serves a variety of industries, from food and beverage to oil and gas, and many in between, addressing the demands of compliance, process and discreet manufacturing, multi currency, and much more–all in a powerful and elegant way. xkzero is positioned to create a best-in-class software system for your company, and a best-in-industry experience for you. From our background in business operations and accounting, our proven integrated mobile applications for Sage X3 (and the expert software development team behind them), to our X3 consulting and implementation team that ranks among the top in the US, xkzero strives to not only create the most efficient, growth-enabling system for your company, but to create the next big fan of xkzero. Did your Sage X3 project yield the results you had imagined? Learn more about xkzero's refinement and optimization projects! xkzero provides smart mobile technology that not only optimizes business processes, but creates a solid foundation upon which you can grow your business. By putting system touch points where your processes happen, your system will provide you with the most real-time, consistent and reliable information that your business can have. Reliable information lets you make better decisions–every day. 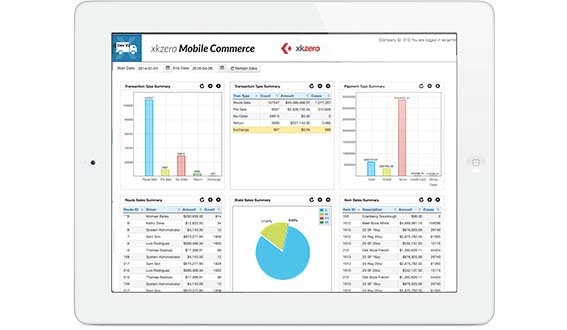 An example of our mobile technology for X3 is Mobile Commerce, a Route Sales and Direct Store Delivery (DSD) solution that connects drivers and delivery representatives to your Sage X3 system, keeping customers, items, pricing, units of measure, inventory movements, transactions, and more in sync along the way. Discover specifically how Sage X3 and xkzero can take your business to another level.